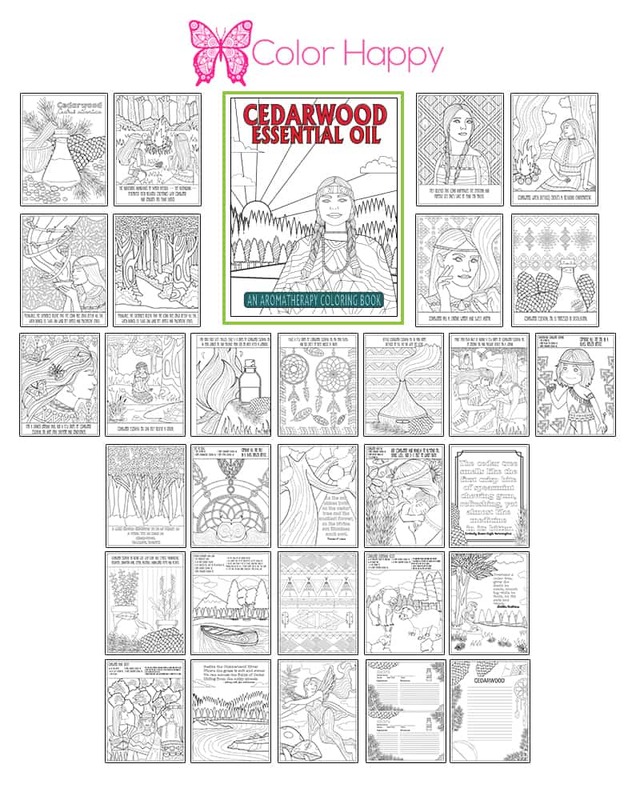 Explore cedarwood essential oil through color. 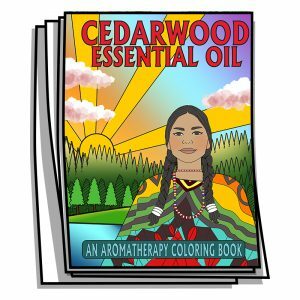 Each of these pages is dedicated to learning more about aromatherapy, specifically cedarwood essential oil, and it’s history, science, chemistry common uses, and even recipes, all while providing fun and detailed coloring elements that honor Native American peoples and cultures. 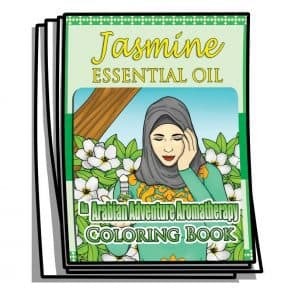 Explore Jasmine Essential Oil while having an Arabian Adventure! 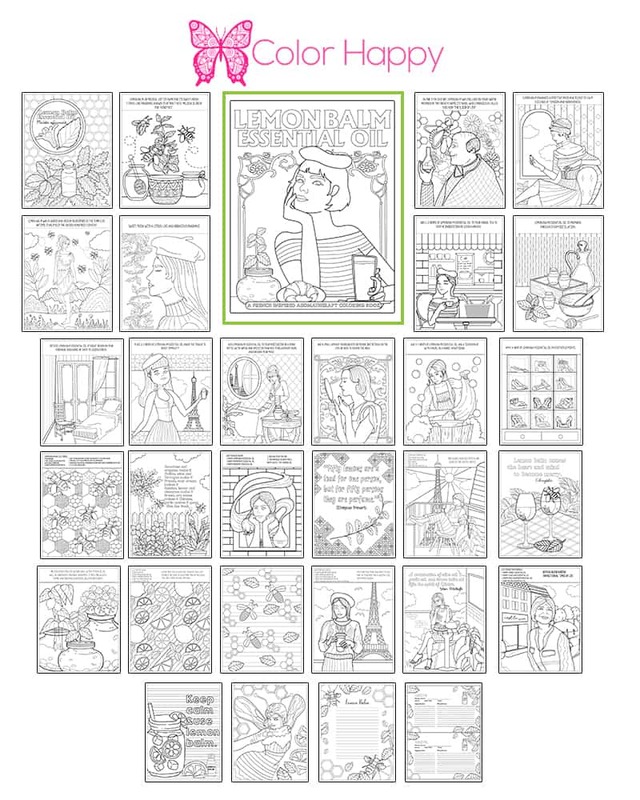 Fill these coloring pages as you are inspired by the intricate details of Ancient Arabic design. Allow this beautiful flower to remind you of love and your love for colors. 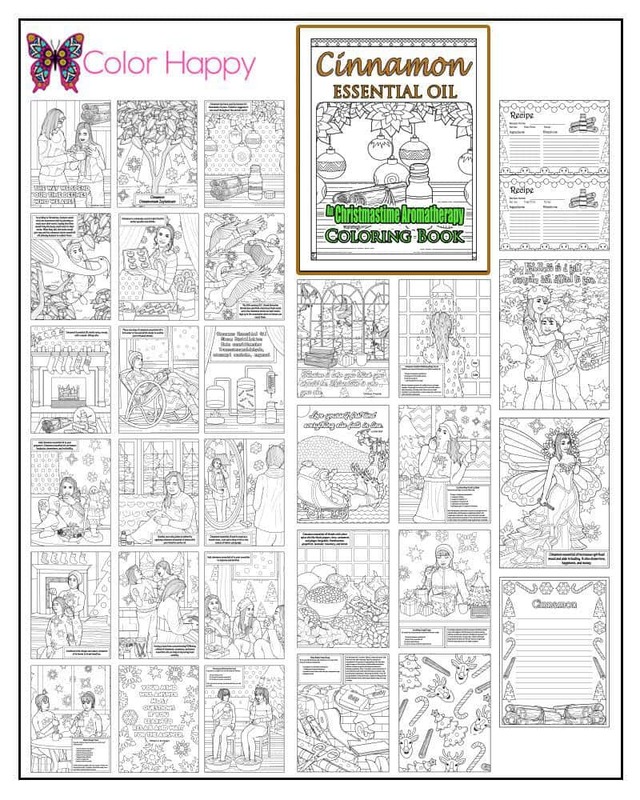 Most of all, enjoy the relaxing feeling as you color your imagination with each page of this book. 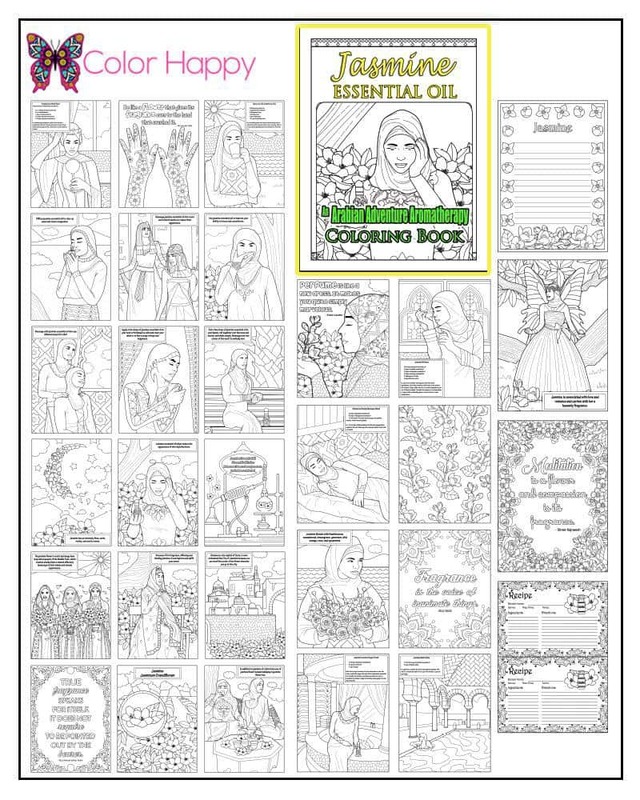 Smell the spirit of Christmas in this Aromatherapy coloring book and let your senses come alive as you explore the wonders of cinnamon essential oil. 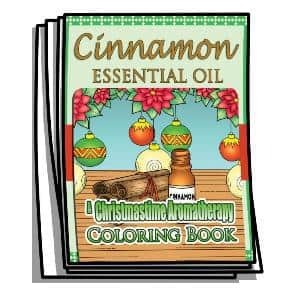 Each of these 30 pages is dedicated to learning more about cinnamon essential oil, and it’s history, science, chemistry, common uses, and even recipes, all while providing fun and detailed coloring elements set to a Christmastime theme. What happens when you wake up with a swollen throat, cough, and all over yuckiness? 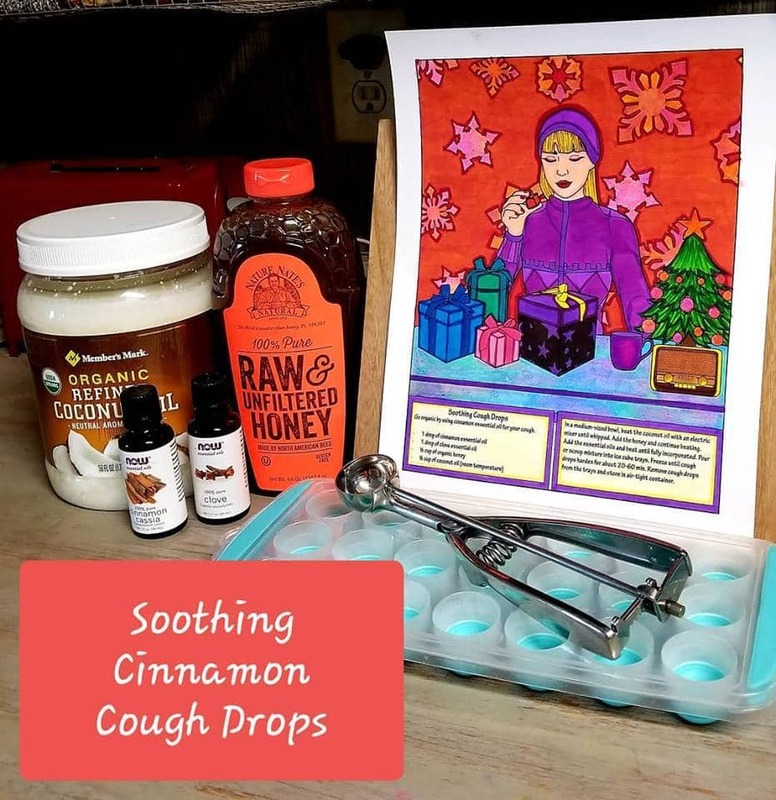 You DIY soothing EO cough drops of course. 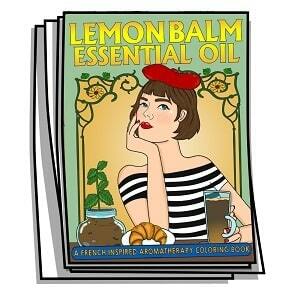 They are SUPER yummy and the raw honey coats the throat and the Cinnamon oil suppresses the cough!!! 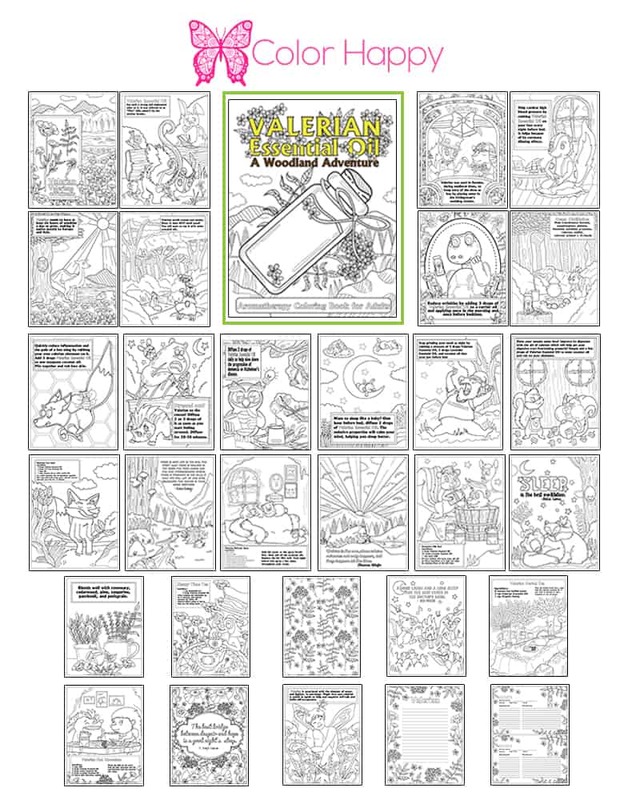 The Valerian Essential Oil coloring pages explores different aspects of Valerian – the history, science, uses, and more, all while providing fun and detailed coloring elements. 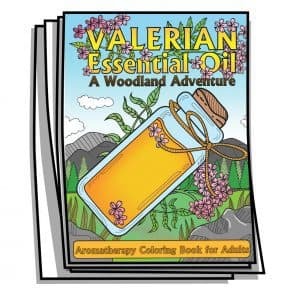 The Valerian Essential Oil package includes quotes, and recipes, and a nature journal page, all themed for Valerian. 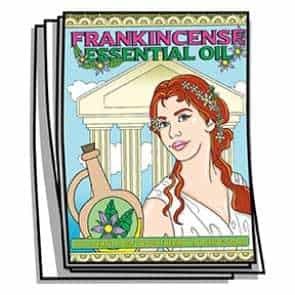 Frankincense Essential Oil coloring pages explores different aspects of Frankincense – the history, science, uses, and more, all while providing fun and detailed coloring elements. 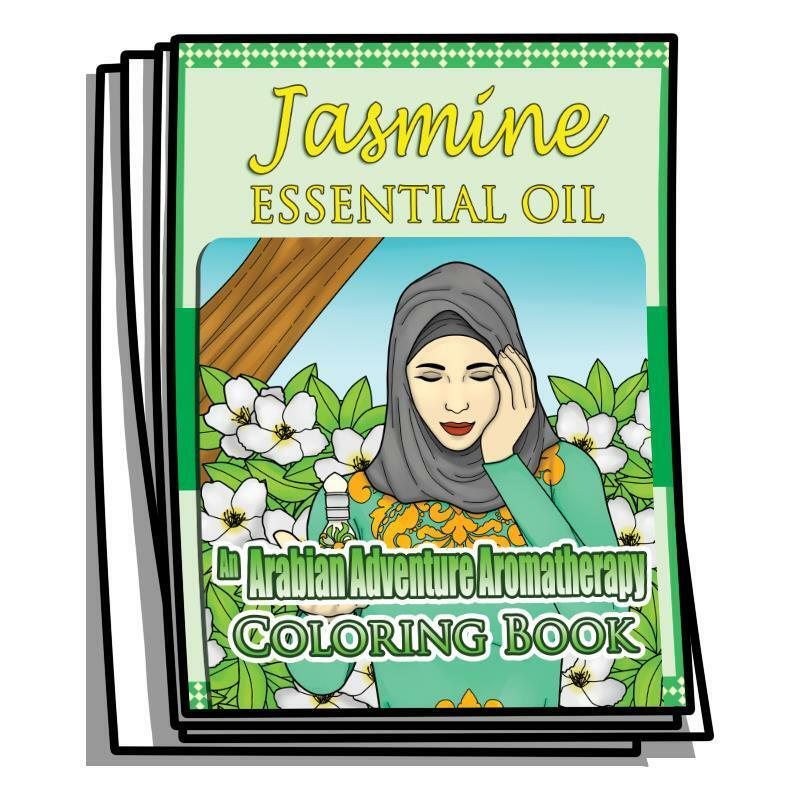 The Frankincense Essential Oil package includes quotes, and recipes, and a nature journal page, all themed for Frankincense.